Award winning historical fiction author, Vicky Adin is a genealogist in love with history and words. After decades of research Vicky has combined her skills to write poignant novels that weave family and history together in a way that makes the past come alive. She is particularly fascinated by the 19th Century pioneers, especially the women, who undertook hazardous journeys to find a better life. The strength and determination needed to flourish in a new country still coming to terms with its existence, Vicky finds inspirational. She draws her characters from real life stories – characters such as Brigid The Girl from County Clare and Gwenna The Welsh Confectioner, or Megan who discovers much about herself when she traces her family tree back to Constance and Isabel in The Cornish Knot. Vicky Adin holds a MA(Hons) in English and Education. 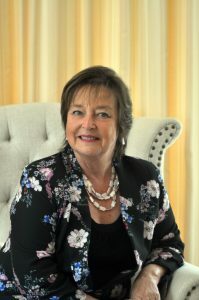 When not writing you will find her reading – she is an avid reader of historical novels, family sagas and contemporary women’s stories; travelling – especially caravanning, and cruising with her husband and biggest fan; and spending time with her family. Kazam! Is a children’s illustrated adventure story set in New Zealand and based on real events. It was written for her grandsons, who wanted pictures as well as words.